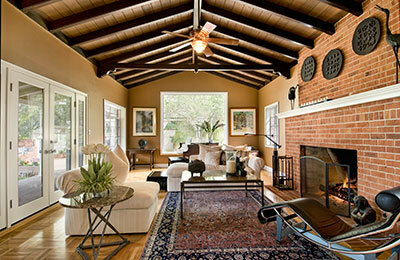 ​Persian rugs greatly increase the overall luxury of a person's living quarters by adding that extra element of style. As a side benefit, larger Persian pieces also provide an insulating layer during the winters, cushion blows in case of a fall and help maintain the polish of a hardwood floor. If you want to continue utilizing the immense benefits provided by fine Persian rugs, however, you should be very mindful of its cleaning and maintenance. This is where we enter the picture: we will take away all or your rug cleaning woes and make sure you get an impeccable service every time you work with us. Persian rugs often do not require thorough washing in the initial years, and even when they do, it is never in the traditional sense of hosing them with water at a high pressure. Instead, they must be handled with care on a regular basis and the steps involved in their dry cleaning must always be followed through. Because maintenance of Persian rugs is often unconventional, our experts are taught to think outside the box when cleaning a Persian rug and view it as a unique and individual entity. 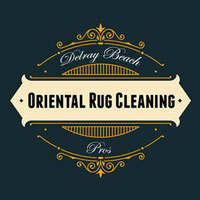 Our cleaning is generally divided into two categories: dry and wet cleaning. The mode of cleaning we choose depends on the kind of particles we're dealing with, but we will never ignore one or the other and will try to give your rug the full cleaning suite every time. If your Persian rug has gotten dusty over time, it might simply require a thorough vacuuming – if ignored, the dust might settle on the rug's surface, resulting in discoloration. However, a vacuuming done by us is far removed from what home owners or even most cleaning companies can offer a Persian rug due to the strength of our machinery. Furthermore, our cleaners know how to apply the extensions to the surface of the rug so that it isn't damaged in any way. A more severe buildup of dust requires extensive wet cleaning, either through our steam machinery or the hand and brush method. The type of washing we choose is based on your specific ornamental piece, and we will often spend a lengthy period of time before making a move so that, when we finally make one, it is correct and has only a positive impact on your carpet. If you feel you don't want to experiment with the cleaning of such an expensive household item past simple vacuuming, it's never wrong to contact us and have us take the load off your back. We've specialized in cleaning expensive Persian rugs because we understood the intricacies it involves, and we're happy to boast a perfect success rate whether we're talking rare, antique or badly-damaged pieces – whatever your rug's state might be, having us take care of it will bring back its old self. After our work is done, your Persian rug will once again shine in any room it's placed in and dazzle your visitors with its lustrous colors and marvelous designs. 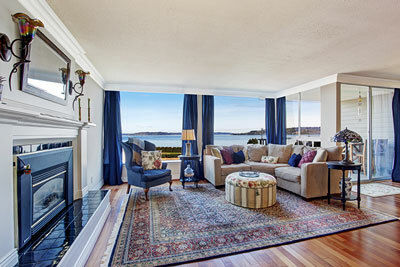 The most obvious way of keeping your Persian rugs clean is by preventing them from getting dirty in the first place. From placing the rugs in a less of foot-traffic zone to avoiding the circulation pattern of the interior spaces, these must be considered when deciding where to place your Persian rug. Moreover, fine rugs should be immediately cleaned by a professional if something spills on them, as delaying will only make the stain more stubborn in the long run. Authentic Persian rugs and oriental rugs are expensive and hard to find. Once found, they need personalized care and regular maintenance by someone with experience. If you were to attempt to clean the rug yourself, you would likely vacuum it first followed by shampooing and then eventually drying it. However, you may are almost certainly unaware of the right kind of detergent or shampoo for the particular kind of exotic rug you own, as Persian rugs are sensitive and each of them requires a different cleaning method depending on its material and state. Moreover, drying at home might be damaging for the rug if any stain is missed or the rug is placed in an insufficiently-ventilated room. With all these factors in mind, the choice to hand your Persian rug over to us comes naturally. There is no reason to risk damaging your precious piece when the foremost professionals are a phone call away, ready to pick your rug up and return it in a spotless state in short order.